I study aging, health, disability, and chronic disease using a public health perspective. My goal is to help older people live longer in better health, and to improve the quality of life and well-being among older people. My CV includes my publications. I invite you to take a look at the other links on my website to learn more about my research and other interests. Effects of future orientation on active life expectancy. Effects of unemployment on health. Associations of education with disability and life expectancy. Active Life Expectancy of Americans with Diabetes: Risks of Heart Disease, Obesity, and Inactivity. More Education May Limit Disability and Extend Life for People with Cognitive Impairment. Stroke, Disability, and Mortality in the Unite[d States: 1999-2009. Associations of Multiple Chronic Health Conditions with Active Life Expectancy in the United States. I enjoy teaching and mentoring student in research. 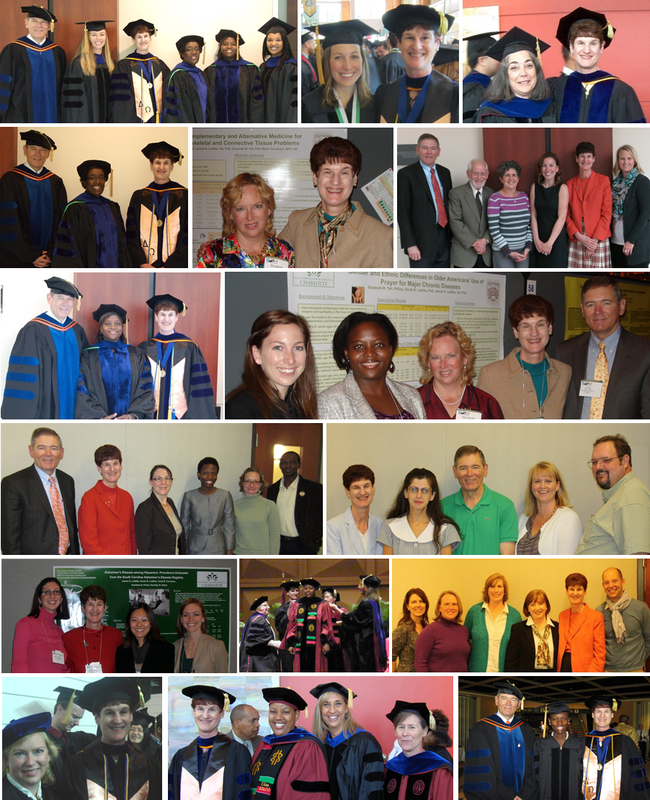 These photos show some of the doctoral students I have mentored. I describe my work with doctoral students here. More than half of my publications include students. I have listed student first-authored peer reviewed journal articles here.